A yearbook holds special memories that are forever keepsakes. 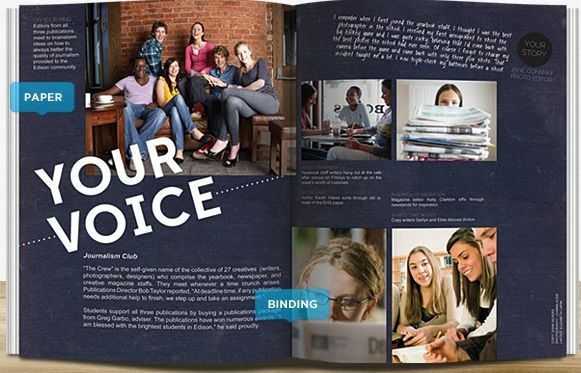 What better way to document a year than to make a tailor made yearbook just for you - whether you are a homeschool family, school, sports team, or youth group and at an extremely affordable price, too! One feature that makes Picaboo different from anything I've ever seen is the ability one has to create personalized pages at the end of the school's (or other group's) yearbook. This is a phenomenal feature! Check out this preview of an elementary yearbook. Pages 28-40 are personalized to one student. Any student that wishes to have their own section, can be given access to make it! 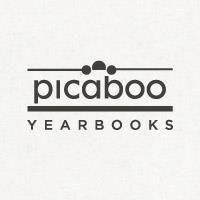 Picaboo provides many creative and beautiful examples on their website for inspiration. Another pretty cool feature is the ability to place QR codes in the yearbook. First, I watched the Getting Started demo video below found on Picaboo's website. Uploading the pictures I wanted in each section was my next step. Figuring out which pictures I wanted in an individual section and moving them around took a while, too. Then, I had to decide if I wanted a page to have a certain layout or to be free form. I had fun playing around with the hundreds of different backgrounds (there's a plethora of fonts and stickers, too) available on Picaboo and even created one from my own picture. I will say for me, there was a learning curve to figuring out how to use the program. It took me a good three hours of playing around in Picaboo to feel competent with the process. I kept wanting to hit the back arrow to back up - big mistake. Each time I would hit it, it would take me completely out of the program, and I'd have to completely log back in. Having to log in each time I re-entered the website was a bit annoying, but the end product is so worth that little hassle and my learning curve. Once finished and all sections locked, ordering was simple. I made sure to choose the free option of an e-Book at checkout, too. We received the free e-Book of our yearbook via email. Now, the back cover page was blank in our e-Book, but I was assured that the problem was being worked on. They also assured me that our final, printed yearbook would have the back cover as I had designed it, and it did! Picaboo estimated the fix for the back cover to the free e-Book would take only a few more weeks. For me, the process of creating our twenty page yearbook took about 2 weeks, working on it from a few minutes to even a few hours each day. (This time frame, of course, is going to be different for each individual or group.) Picaboo states the yearbook will arrive within three weeks of ordering, and ours came in just under two! Pricing: The cheapest option (and what we reviewed) is an 8 1/2 x 11, 20 page, Softcover Yearbook at only $8.49 each, plus shipping. (At the time of posting, one yearbook ships for $8.99 and shipping is free for an order over 50) The yearbook price may be adjusted by the coordinator to reflect the project as a fundraiser if so desired, or you may keep the price at rock bottom. I absolutely love our finished product! The size and professional quality of our yearbook is superb. I am looking forward to making one each year, with probably double the pages. Also, as a friend suggested, we will be ordering four each year ~ one for my husband and I, and one for each child to keep once they are all grown up. It costs absolutely nothing to begin the yearbook process on their website. I would encourage you to go on and play around. The only time you are asked for payment is during the checkout process. Amazing! I am so proud of your yearbooks! My babies will cherish them for a life time. I love you all! Aww, thanks so much!! Love you, too! Thank you!! =) It is a special way to keep our memories together. Much cheaper than the yearbooks for sale at our co-op, too.